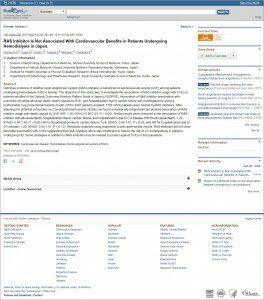 Mizobuchi M, Ogata H, Onishi Y, Fukuma S, Akizawa T, Fukuhara S.
RAS Inhibitor Is Not Associated with Cardiovascular Benefits in Patients Undergoing Hemodialysis in Japan. 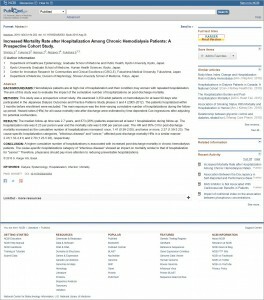 Therapeutic Apheresis and Dialysis 2017;21:326-33. Eitaro Ito, Akihiro Takai, PhD, Yoshinori Imai, Hiromi Otani, Yoshihiro Onishi, Yosuke Yamamoto, Kohei Ogawa, Taiji Tohyama, Shunichi Fukuhara, Yasutsugu Takada. 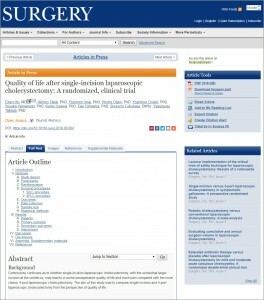 Quality of Life after Single-Incision Laparoscopic Cholecystectomy: A Randomized, Clinical Trial. Shingo Fukuma, Miho Kimachi, Kenji Omae, Yuki Kataoka, Hajime Yamazaki, Manabu Muto, Tadao Akizawa, Motoko Yanagita, Shunichi Fukuhara. 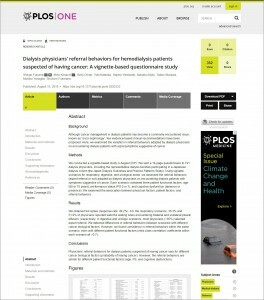 Dialysis physicians’ referral behaviors for hemodialysis patients suspected of having cancer: A vignette-based questionnaire study. PLOS ONE. August 15, 2018. 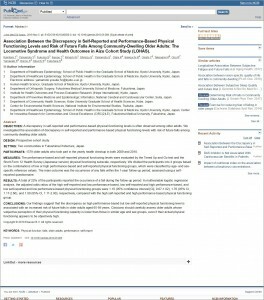 Kamitani T, Yamamoto Y, Fukuma S, Ikenoe T, Kimachi M, Shimizu S, Yamamoto S, Otani K, Sekiguchi M, Onishi Y, Takegami M, Ono R, Yamazaki S, Konno S, Kikuchi S, Fukuhara S.
Journal of the American Medical Directors Association 2018, in press. Shimizu S, Fukuma S, Ikenoue T, Akizawa T, Fukuhara S.
Matsuzawa Ryota, Kamitani Tsukasa, Roshanravan Baback, Fukuma Shingo, Joki Nobuhiko, Fukagawa Masafumi. 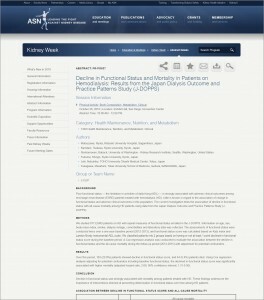 Decline in functional status and mortality in patients on hemodialysis: Results from the Japan Dialysis Outcome and Practice Patterns Study (J-DOPPS). Journal of Renal Nutrition 2018, in press. 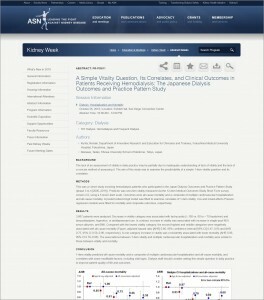 A simple vitality question, its correlates, and clinical outcomes in patients receiving hemodialysis: The Japanese Dialysis Outcomes and Practice Pattern Study.